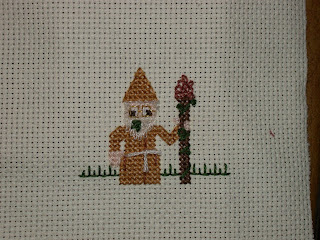 Age's Crochet Pages: Two more Wizards are done. Fire, with a soot smudge on his forehead and sparks in the air. Earth, with a carved pinecone on his staff and a leaf caught in his beard. Water is in progress, the thread I picked up turned out to be way too green, and I need to get something else.